Nurture budding friendships with these hands-on crafts. The month of February is best known for Valentine's Day, a holiday often linked to romantic love. But for young children, this time of year presents a wonderful opportunity to discuss and celebrate the importance of friendship as well as showing kindness to others. This can also be a great chance to gain some insight into your child's social life at school or Pre-K. Beyond sharing valentines in the classroom, talk to your kids about what it means to be a good friend. Ask them to tell you about friends of theirs and why they are thankful to have those friends in their lives. 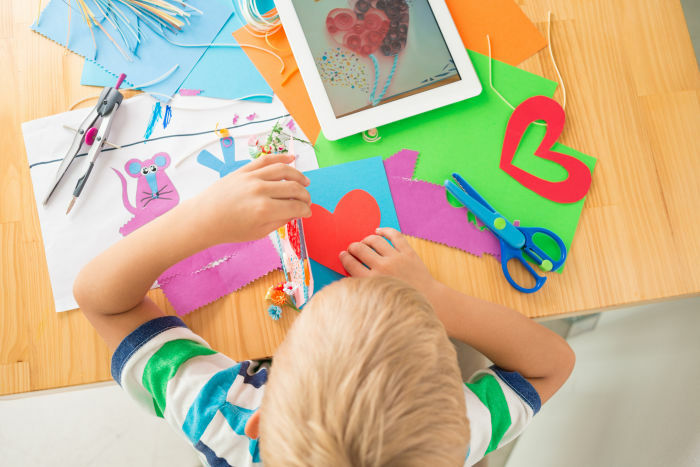 Then, try some hands-on projects to celebrate and honor these budding friendships. Studies indicate that interactive activities help develop children's social and emotional behavior, which in turn fortifies important friendship skills. For this activity, you need some construction paper or poster board and washable finger paints. Ask your child to select their favorite color of paint and dip one of their hands, palm-side-down into the paint. Next, have them press their hand print on the piece of paper. A parent, friend, or sibling can repeat the process with an overlapping second hand print, creating the shape of a heart. With the remaining space, collaborate to add words they associate with friendship. Ask your child to draw a picture with their best friend. 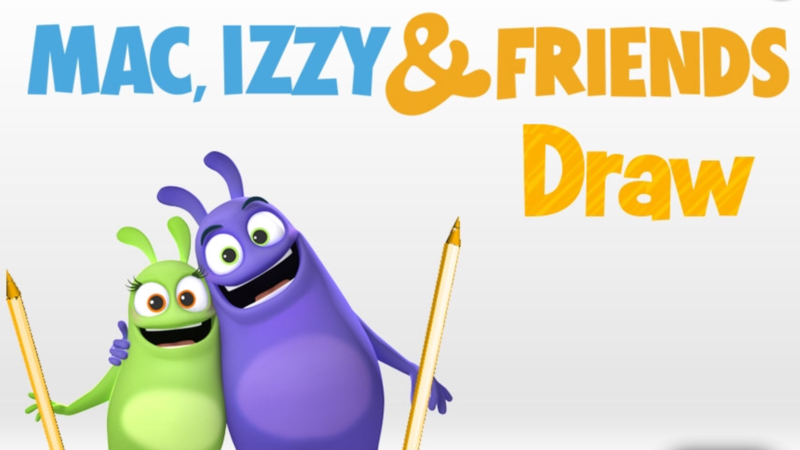 With the Mac, Izzy & Friends Draw game in the Curious World App, they can add stickers, backgrounds and more and save the picture to their device! This can be a chance for children to either talk about or write a short description of why they like spending time with their friend and what they like to do together. 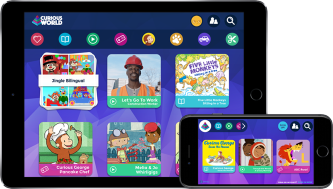 Sign up today with code CW_20 for 20% off your first year of unlimited videos, games and books! Ask your child to think about what characteristics make up an ideal friend. Have your child list qualities of a great friend and ask them why the characteristics they’ve chosen are important in a friendship. This can be combined with a drawing or finger painting activity as well, by asking them to draw a picture of their ideal friend doing something this friend enjoys. Have children write a special card to their best friend. In the card, have the children talk about all the things their friend does for them that they appreciate. This exercise will get the children thinking about what makes this other person such a good friend. 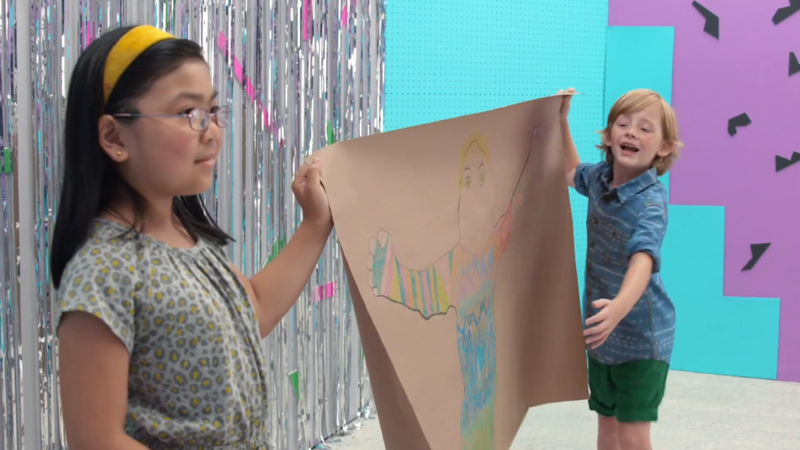 Follow this easy tutorial video in the Curious World App and help your child make a hug they can send in the post or give to one of their friends! You will need a long piece of paper, scissors, crayons and markers. Sign up and use code CW_20 to get 20% off your first year!